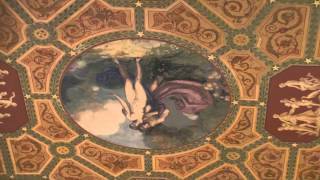 This entry was posted in Hotels and tagged Ceiling, Chicago, House, Lobby, Magnificent, Mural, Palmer on January 29, 2014 by David. www.innofchicago.com – After a gorgeous million dollar renovation, this landmark downtown Chicago hotel offers a dramatic, sleek and contemporary design in a classic historic building. With the incredible location on East Ohio Street, the Inn of Chicago is just one half block from shopping on The Magnificent Mile and Rush Street, five blocks from Millennium Park and Navy Pier, and right in the heart of Chicago’s downtown corporate offices. The Inn of Chicago Hotel offers the perfect location for business and leisure travelers seeking Michigan Avenue hotel accommodations. This entry was posted in Hotels and tagged Chicago, Hotel, Magnificent, Mile on March 7, 2013 by David. View an official hotel video of the Chicago Marriott Downtown Magnificent Milebefore your stay, only on Marriott.com. Marriott.com hotel videos include shots of the hotel exterior, hotel rooms, and amenities, fitness and recreation areas, and meeting and event space. Book on Marriott.com today! This entry was posted in Hotels and tagged Chicago, Downtown, Hotel, Magnificent, Marriott, Mile, Video on March 5, 2013 by David. This entry was posted in Hotels and tagged Chicago, Downtown, Hotel, Magnificent, Marriott, Mile on February 24, 2013 by David.